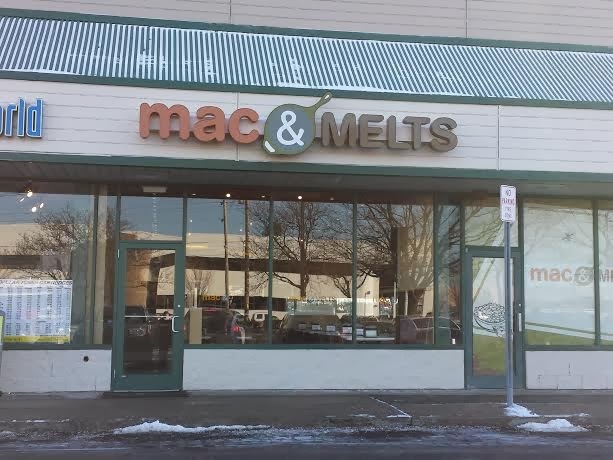 When we heard about the opening of Mac and Melts, we were so excited. Who doesn't love the comfort of some gooey mac and cheese every now and then. We weren't really sure what to expect with the exception of a limited menu. Mac and Melts is situated in the middle of a strip mall and is not that large of a place. 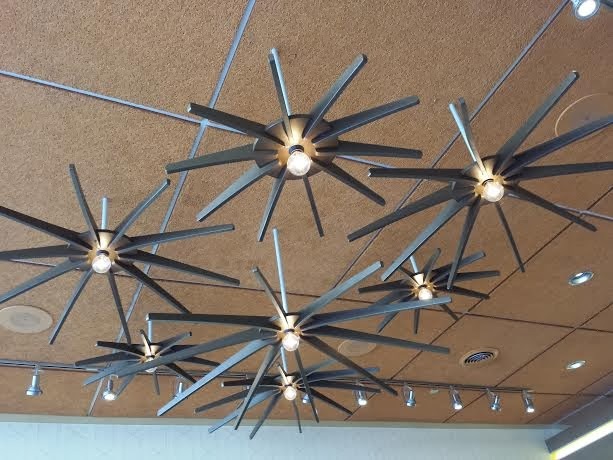 The simple decor and style are reminiscent of Five Guys while the selection of sandwiches and sides are like a Panera--it's a pretty good cross of the two styles. There's a large selection of various Macs with different meats, cheeses, vegetables, etc., and you have the option of regular pasta or quinoa elbow macaroni. 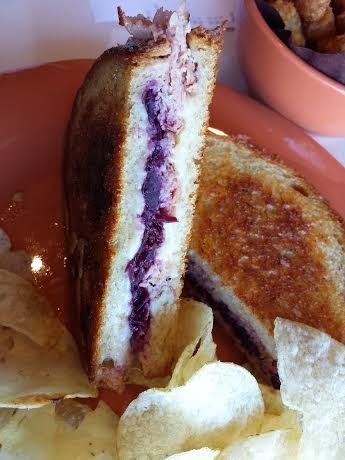 The Melts part of the menu is made up of classic sandwiches with a few twists. As it turns out, the one thing we didn't order was macaroni and cheese. We chose the "Reubie Tuesday," the "Smokehouse Turkey Club" and their namesake sandwich called "The Mac and Melt." We also added a side of Tater Tots with Chiplotle Mayo. We sat down at a table and 15 minutes later our food was brought out to us. While we were sitting there it seemed like a long time, but a lot did go into making the sandwiches. Once we got our food, everything looked great. Unfortunately, the taste of it all didn't live up to our expectations. 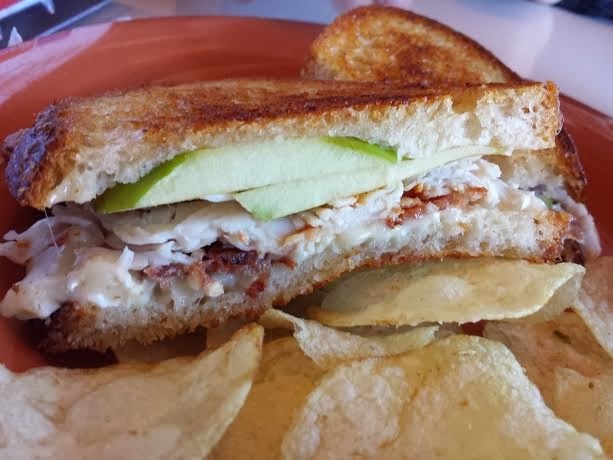 The Smokehouse Turkey Club was on the bland side, even with the addition of sliced Granny Smith apples, and the Brie was barely there for it being on a menu of "melts" The Reubie Tuesday was alright, on the thin side, and again, bland for the type of sandwich it is. It also seemed to be on the same bread as the club, Sourdough, instead of Rye. Had it been on Rye, the whole flavor would have changed for the better and if it was on Rye bread, I couldn't tell because the bread was so oily that it had such a prominent taste. The tater tots were fine, but also a little too oily. I should also note that the sandwiches came with a side of chips. The shining star of the meal was "The Mac and Melt." Deep fried mac and cheese with sundried tomato pesto. The flavor combination was delicious, but the overly fried bread made it a little too heavy. 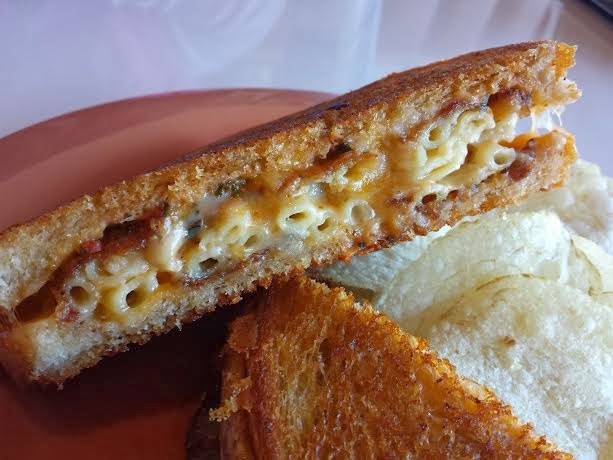 We figured we'd be getting the best of both words by getting the Mac on a Melt, and we were right. It was good to try once, but we won't be returning.